Americans overwhelmingly support a policy of African nations making their own decisions about managing the wildlife in their own countries. That was a significant finding in terms of what other groups have claimed about American attitudes. But we also found a touch of ambiguity in some of the responses. That led us to design this second survey. We wanted to clarify the responses to two questions posed in the first survey. 1. If Americans favored protecting both Africa’s wild animals and serving the needs of humans that live near those animals, can this seeming contradiction be resolved in future wildlife policy? 2. If groups in the United States claim to speak for wild animals because the animals cannot speak for themselves — which tends to lead to policies that favor the animals over humans — where could a line be drawn that brings animals and humans more into balance? Some 366 Americans responded to our second series of questions about African wildlife in a survey conducted on Wednesday evening, August 22, 2018. The results again proved very interesting. • Americans appear to be strongly opposed to efforts to protect wildlife at the expense of humans and the overall African standard of living. This is quite different from the “animals first” position of animal rights groups. 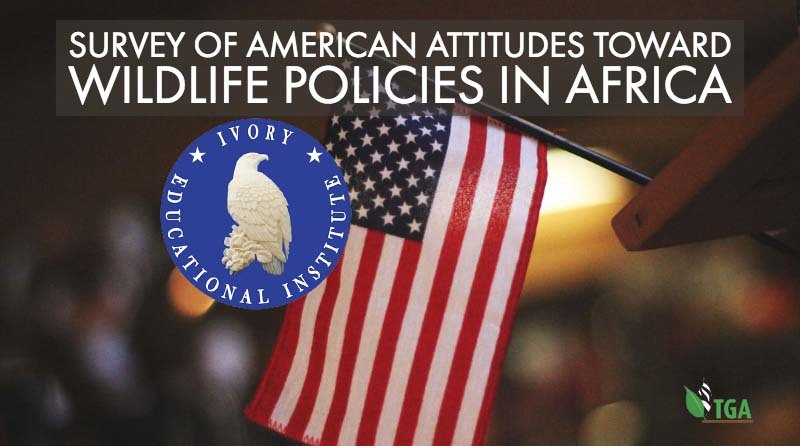 • Only one in 10 Americans believe the United States should take the lead role in the management of African wildlife. Americans, by a large margin, want African states to manage their own wildlife resources. • Americans also believe that each individual country should balance the needs of their local communities with the wildlife that lives nearby. They reject the requirement for a pan-African solution to these situations. 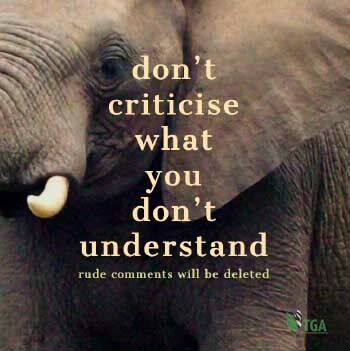 • There is broad support among Americans for international funding of whatever help the African states need in the management of their wildlife resources. The help should come with the implied caveat that it arrive without any Western strings attached. Conversely, there is little appetite for the United States becoming the primary financial supporter of wildlife activities in Africa. In the last 10 years, strategies to prevent wildlife extinction have largely been successful. Do you agree, disagree or have no position on this statement? The take away from this chart is that a large number of Americans have doubts whether the current wildlife strategies urged by powerful Western non-governmental organizations are working. Wildlife management solutions for Africa cannot ignore the needs of the African people. Eight in ten Americans agree that wildlife solutions cannot ignore the needs of the African people. But the sad truth is that they have. Couple this finding with the fact that most think the strategies adopted to prevent wildlife extinction are not working and you have a major mandate for change. When assessing the viability of wildlife populations, animals living on private land should be counted, not just those living in the wild. In South Africa, for example, more wildlife live and thrive on private preserves than in government protected areas. By ignoring these animals, the fund-raising appeals can be more alarming in the face of dire numbers. But the numbers give an inaccurate picture and the fast majority of Americans think the truth is more important. Instead of a one–size–fits–all Africa–wide strategy targeted on specific species, it makes more sense to let each country come to its own decisions on how to manage and conserve its own wildlife. Contrary to many of the decisions of CITES urged by the animal rights groups, more than two-thirds (68%) of Americans with an opinion on this question believe that strategies for the management of wildlife should be decentralized to each country. People who own antique heirlooms made from or with ivory should be allowed to sell them without government interference. Not only did more people disagree with this statement than agree with it, but it also drew the highest number of people who marked “Strongly Disagree” in the survey. The response makes fairly clear that most Americans do not understand the cultural significance of ivory and its place in history. Perhaps we will explore the reasons for this attitude in a third survey to sharpen our educational arguments in the future.